The successor to Boeing’s 737 Next Generation (737NG), the 737 Max is the latest in Boeing’s line of single-aisle airplanes. Boosted for its fuel efficiency (which lowers operating costs for purchasing airlines), the new line has been a top seller. In fact, the 737 Max has become Boeing’s fastest-selling aircraft since its release into passenger service less than two years ago: more than 40 airliners include the aircraft within their fleets. Major customers in the U.S. alone include Southwest, American, and United. However, Boeing secured the 737 Max’s fuel efficiency gains by outfitting the aircraft with slightly larger engines than previous 737 models. In turn, the larger engines changed the 737 Max’s center of gravity, shifting it further, which, then, increased the risk of the aircraft pitching up after takeoff. Countering the risk required building dedicated software, dubbed Maneuvering Characteristics Augmentation System, or MCAS. That system is designed to get readings from aircraft sensors, which measure the aircraft’s angle in relation to wind flow. Depending on the sensor’s reading, the MCAS system will automatically trigger the plane’s nose to angle downward – the danger is if the sensor gives an erroneous reading. It is this system that is now at the center of the escalating controversy surrounding the two 737 Max crashes. The flight control software was suspected as a cause of the Lion Air crash; like in the later Ethiopian Air crash, Lion Air pilots struggled to control their planes soon after takeoff. 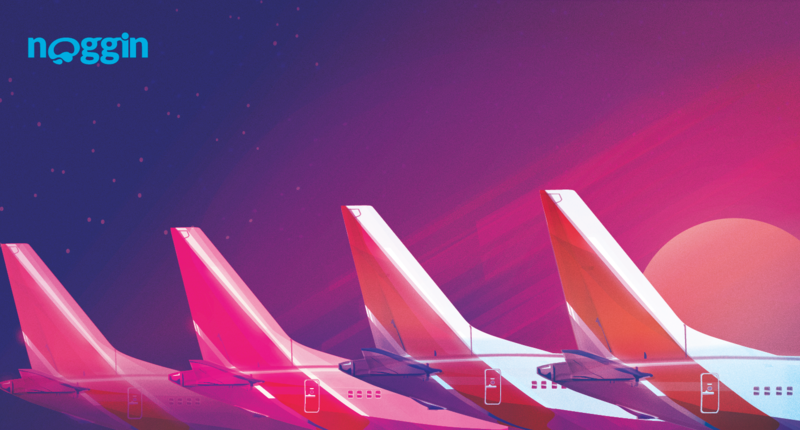 The striking parallel between the two incidents – satellite data even showed that the two plane’s trajectories were similar – led to safety officials across the world grounding the 737 Max. But among major, national air safety regulators, the U.S. Federal Aviation Administration (FAA) was the last to act, grounding the planes several days after the Ethiopian Air crash. This, too, has led to controversy, as critics of the FAA’s approach suggest that Boeing holds too much sway with the agency and can influence the vetting of its own aircraft for regulatory approval. Indeed, a 2012 Department of Transportation (DoT) investigation found that Boeing exercises too much influence over safety approvals of its new aircraft. Specifically, DoT auditors claimed that the FAA hadn’t done enough “to hold Boeing accountable”. More recently, sources familiar with the 737 Max revealed that the DoT’s inspector general had been examining the plane’s design certification just days before the Ethiopian Air crash. Meanwhile, the FAA’s decision to ground the fleet of aircraft would only come days later. So, what’s next? Well, the 737 Max remains grounded for the foreseeable future, especially after data recovered from the Ethiopian Air wreckage showed “clear similarities” with the Lion Air crash. What’s more, the practice (or culture) of “outsourcing safety” regulation to Boeing will continue to come into question. In fact, just yesterday, the Justice Department opened up a federal probe into how Boeing was regulated by the FAA. Following news of the investigation, Transport Canada released notice that it was re-evaluating the validation it gave to the Boeing line. No doubt more is to come from this ongoing story. Brian Pascus, CBS News: How is the Boeing 737 Max 8 different from other Boeing 737 airplanes? For more content like what you just read, follow @teamnoggin on Twitter.